Panic? Anxiety? I Feel You! I've had panic attacks for years, but didn't know exactly what they were until a few years ago. The overwhelming feeling that took over my body, making me feel like I couldn't breathe was horrible. They would sneak up on me when I least expected it. I could have simply just have gotten out of the shower and walked to my room to put makeup on and all of the sudden, I would feel my breathing change and felt like the walls were closing in on me. I started doing some research and learned why I have them (I have a busy mind!) and several ways to cope with them. Breathing in deep, slow breaths was very effective for me. I also read that Salma Hayek had similar situations happen to her. She drank Calm water, a magnesium supplement that you can get at many health food stores and online. I tried it and it worked very well. Drinking it seems to wash away my nerves like magic. The article speaks to how Chrissy Metz (Actress, This Is Us) has dealt with having anxiety, as well as provides information that can help others learn where panic and anxiety attacks could stem from and how to deal with them. The symptoms can be similar to a heart attack. 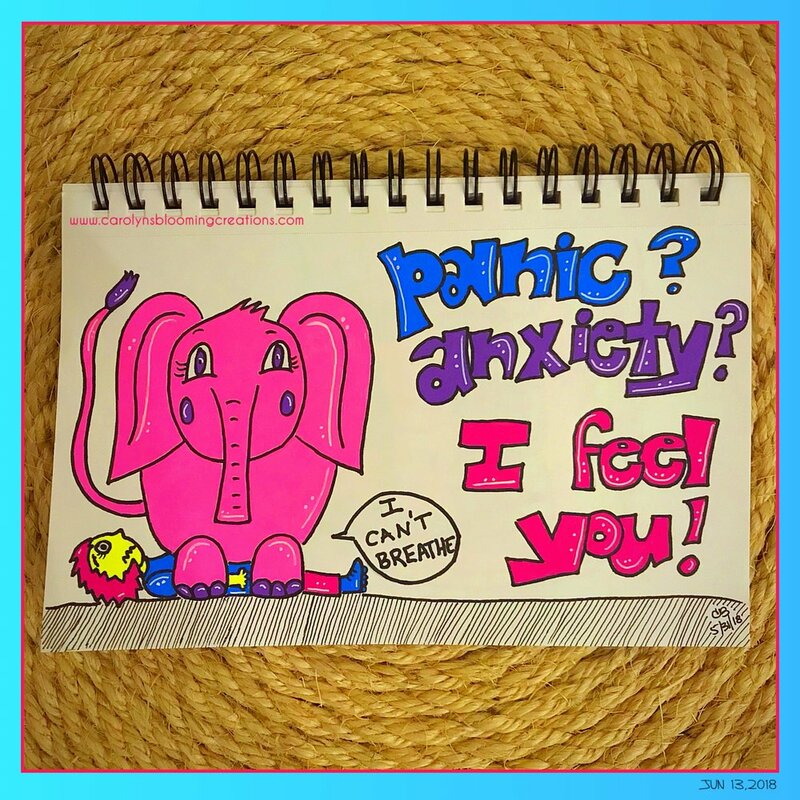 Ever think you've suffered or do you still suffer from anxiety attacks? Read the WebMD article or talk to your doctor today. I'm fortunate to currently have mine under control with a simple supplement and breathing exercises, but I understand that some may need more help than that. Educate yourself and get the help you need to put these awful attacks behind you today!